Press Play to hear our Live Broadcasts and monthly rotation of sermons. 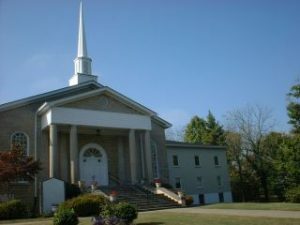 We are a modern friendly Kentucky church with a heart for the whole area. We desire to bless all those who come to us and all who live near Hardin County and beyond! Vine Grove Baptist Church, sharing God’s word through voice and song. All visitors are very welcome. On Sundays and Wednesdays we serve tea, hot cocoa, and coffee before our main meetings. We also run midweek small groups where we can draw closer to God and encourage one another. To find out more about what you can expect on a visit please click here to see our visitors page. Sunday School / Small Groups 9:45 a.m.
Pastor’s Class – Discovering Church Membership 10:00 a.m.
Children’s Church (K-5th grade) 11:00 a.m. Adult Choir Rehersal 4:30 p.m.
Evening Worship and Studies 6:00 p.m.